The LEbrickGO Museum is located in Binningen, in the heart of the border triangle Switzerland / France / Germany. 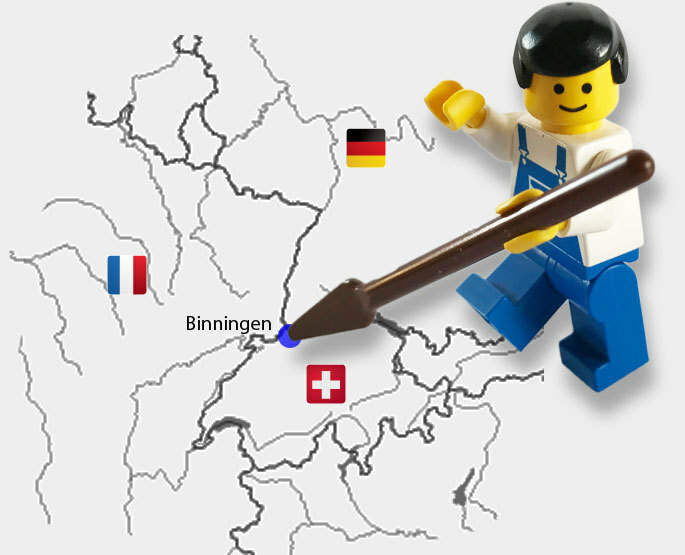 It is the only museum in Switzerland with a unique and extensive collection of LEGO® sets. The LEbrickGO Museum in Binningen shows the development of the stones. Starting with LEGO® as a joinery up to today's sets, from each decade something is represented. The exhibits are sets that every LEGO® fan knows, but are no longer available on the market. Be it the Taj Mahal or the Eiffel Tower, the Tower Bridge or the Sydney Opera House. All can be admired in the LEbrickGO Museum. It shows sets that you did not even know existed. From railways to Herbstmessebahnen or Technic sets everything is represented. The founder of the museum, Christian Velhagen, has collected many rarities over the past years and now exhibits them permanently in the LEbrickGO Museum in Binningen. "The visitors should have joy, fun, emotions and memories with us. We want to show what's available, what's up-to-date and stimulate creativity for something new. " There is a play space for children, so that the little builders of tomorrow can directly implement their ideas. The latest models can be tested on the LEGO® Technic system. The shop offers the Kids or the seasoned LEGO® fans a selection of current sets. You can also shop without visiting the museum in the online shop www.lebrickgo.ch. The prices are attractive. In addition to the regular exhibition, there are regularly changing exhibitions with fan creations in the guest cabinets. The museum shop offers a large number of up-to-date LEGO® products and is also accessible without a museum visit.